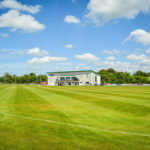 Brackaville were the visitors to Clanabogan Park on Sunday for an ACL Division three game but went home empty handed. Sarsfields made a cagey start and took the lead after four minutes through a point by Shane Devine. Eamon rea extended the lead before Brackaville rocked the home side with a goal on 11 minutes. However, Drumragh fought back almost immediately scoring a goal and 2 points without reply midway through the first half, the goal courtesy of Paul Maguire with points from Shane Devine and Shane Cleary. The sides shared 8 points in the second quarter with Drumragh scorers coming from Shane Cleary Paul Maguire, Benny Drumm and Aaron Montgomery to leave the half time score Drumragh 1-08, Brackaville 1-04. Barry Fitzgerald scored the first point of the second half for the home sides before Brackaville responded with two points reducing the deficit to three with ten minutes gone in the second half. Points from Shane Cleary and Shane Devine extended the home side’s lead out to five points again. However the away side were not done and struck back with two scores of their own to leave 3 between the sides with 10 minutes to go. Both sides traded points with the Drumragh score coming courtesy of a Shane Cleary free before Shane Devine and Aaron Montgomery fired over points in the final two minutes to leave the full time score Drumagh 1-14, Brackaville 1-09. 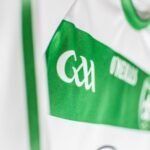 This was another solid performance from the Sarsfields who have won the last three on the bounce at Clanabogan Park and will go into the final third of the season in good stead.